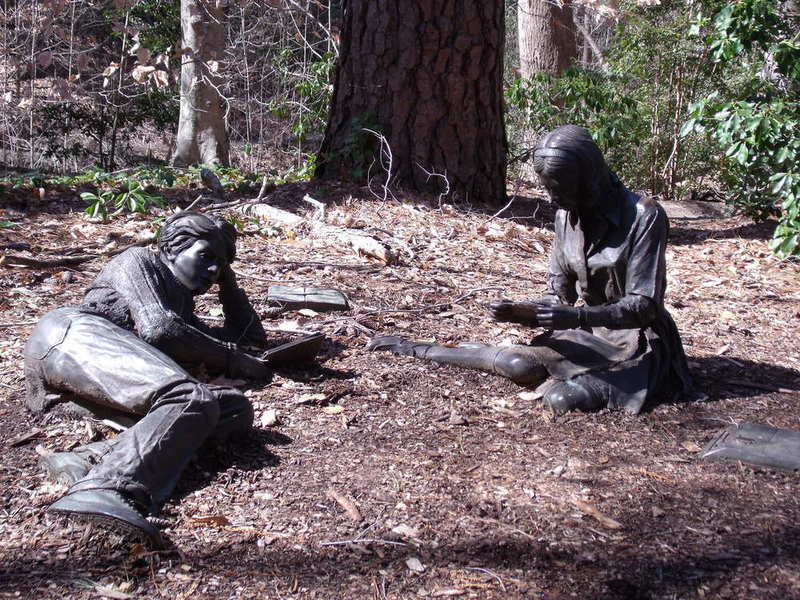 "Spring" is a sculpture by J. Seward Johnson that was installed at William & Mary in 1979. At some time prior to 1991, the letter held by the figure Tina in the sculpture was broken off. Spring, 2015: A 2015 photograph of the "Spring" statue located in the Crim Dell Meadow at the end of the Sunken Garden. ~ Source: University Archives Photograph Collection, UA 8. ~ Creator: College of William and Mary. 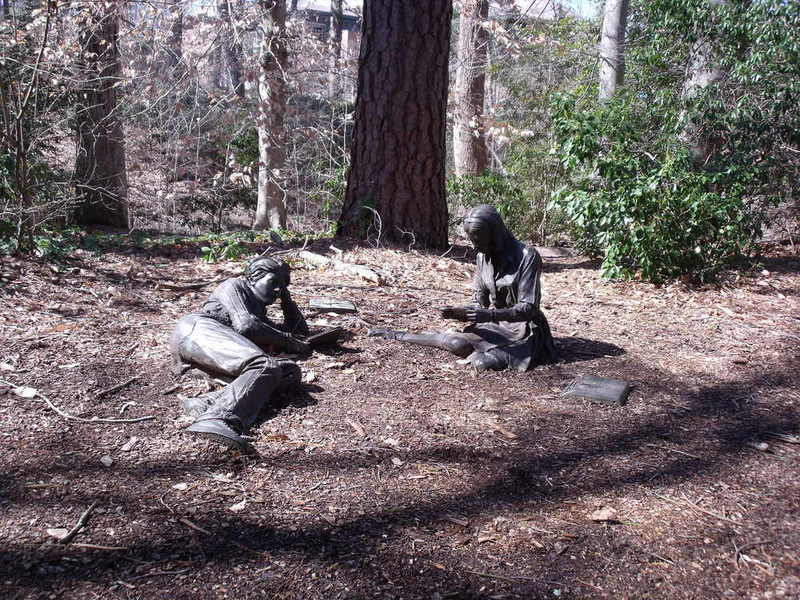 Special Collections Research Center, William & Mary Libraries., “Spring, Dedicated 1979,” TribeTrek, accessed April 26, 2019, https://tribetrek.wm.edu/items/show/75.